Envirosafe Pest Control of Fort Mill grand opening..
To better serve our client base, Envirosafe Pest Control of Fort Mill is now open to give our South Carolina customers first class service. This office will serve all of York County including providing Pest Control Services to Fort Mill, Baxter Village, Tega Cay, Regent Park, York, Lake Wylie, Clover, Knights Bridge, Indian Land and even the Steel Creek area. 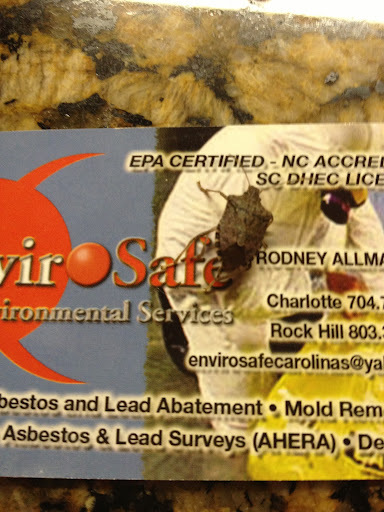 Envirosafe Pest Control of Fort Mill is located at 3160 Hwy 21 Suite 103 #71. Fort Mill, SC 29715. Our phone number is 803-802-8947. We are adding new highly trained pest control technicians for this service area. Please give this office a call for bed bugs, fleas, termites, termite inspections, ants, roaches, mice, fire ants, spiders, and any other pest control issues you may experience. We offer one time and quarterly pest control services. Below, I posted a picture of the Marmorated Stink Bug that flew in our office and also a video of a kudzu bug which likewise ventured into our Catawba Street office. We have treated several homes for both of these pests and get calls often from panicked homeowners. Both are major agricultural pests but are only an annoying occasional invader in our homes. Neither bite, but I suppose the goats The City of Belmont hired to destroy the Kudzu patch nearby to our office did not get the job done. What will be the next invasive species of pests to invade Belmont North Carolina? We will be ready, providing the safest, most environmentally friendly solutions that are safe for your family, your home, and your pets.